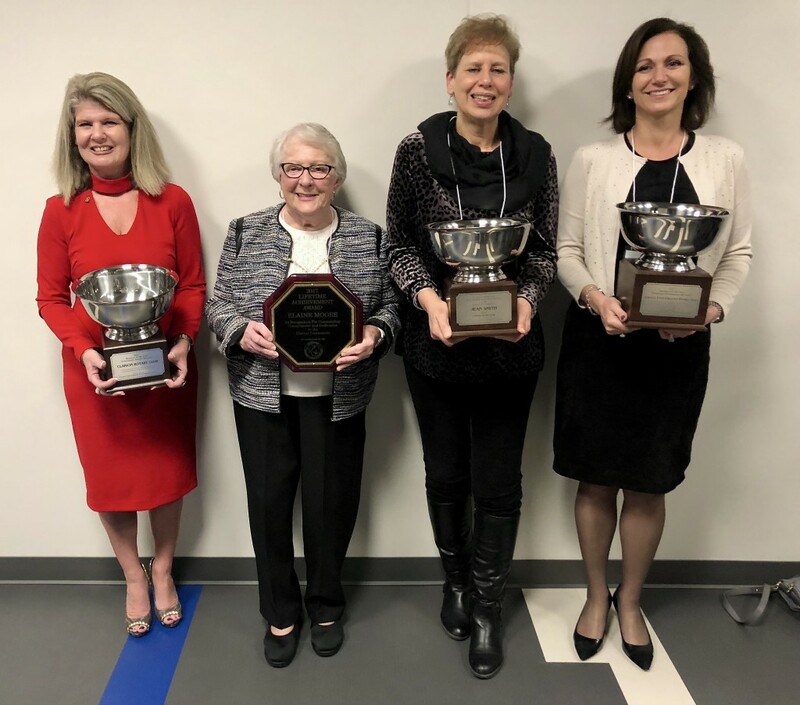 CLARION, Pa. (EYT) – The Clarion Area Chamber of Business and Industry honored local businesses and highlighted two librarians on Saturday night during their annual awards dinner. Some of the awards included Clarion Rotary represented by Jamie Lafever, Lifetime Achievement Elaine Moore, Citizen of the Year Jean Smith, Business of the Year, Clarion Ford represented by Tracy Kriebel (pictured above). “Miss Jean” Smith (pictured below), Clarion Free Library’s Children’s librarian for the last 23 years, was named 2017 Citizen of the Year. “She organizes field trips for children. She visits and reads to children at the local daycares, Headstart, Clarion Hospital, and the preschool at the First Presbyterian Church. She travels to the local schools and brings some programs there on a regular basis. She is the volunteer library and at the Immaculate Conception School, has mentored library science interns, and has given guest lectures on children’s librarianship at Clarion University.” noted DeDe. Elaine Moore (pictured on left), served as an academic librarian at Clarion University for many years, was honored with the 2017 Lifetime Achievement Award, presented by last year’s winners Bill and Judy Miller. Elaine Moore was also very visible and an active supporter of the Clarion community all of her life, in addition to her academic career as a librarian. She served on the Clarion Borough Council, Clarion Borough Mayor, treasurer for the Clarion County Special Olympics for three years, and served as treasurer for the Women of the Moose for three years, where she suggested and helped build a float for the ALF parade. 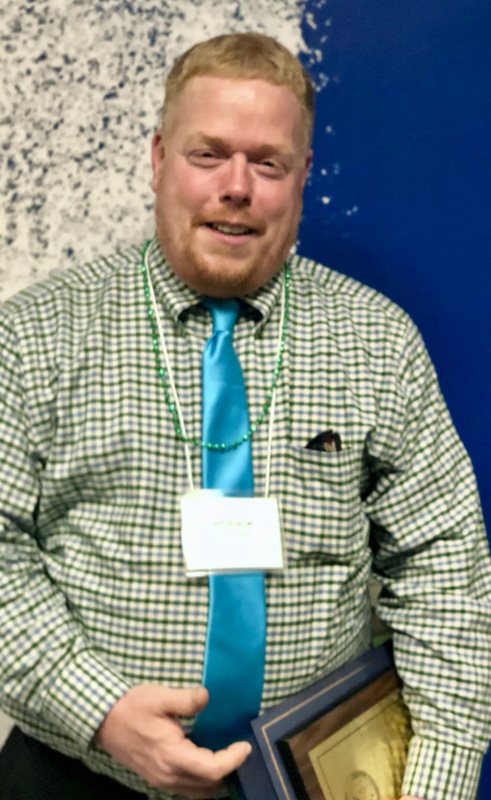 Moore was also the voting precinct representative for the Clarion County Republican committee, served as a Thursday night usher at the Sawmill Theater for 11 years, and as a lector at Immaculate Conception Church. She is a charter member of the Catholic Daughters Organization. The 2017 business of the year economic development award was presented to the Clarion Ford Chrysler Dodge Jeep Ram, accepted by Tracy Kriebel. “People stick together” and help each other in small towns, remarked John Morris, founder of the business. “It was years of support and encouragement from the local business community and the sustained loyalty of the people of the greater Clarion Area that gave the business the confidence to make such a significant investment and community,” according to a video at the awards ceremony. The company purchased the 6-acre former BiLo property in 2017 and combined the two businesses of Clarion Ford and Clarion Chrysler Dodge into the new location. They made significant upgrades to the existing building to create an almost entirely new building while also making substantial upgrades to the business itself, pretty a newly renovated 50,000 square foot facility that opened on November 20. Most of the renovations were done by local companies and services in the Clarion area. Along with the extra service technicians required, additional sales personnel were hired to accommodate the needs of customers. Rotarians Casey O’Toole, Mary Louise Logue, Jamie Lefever, Trueman Mills, and Betty McKisson. Clarion Rotary Club was selected for the 2017 Business of the Year Community Service Award. Accepting the award was Clarion rotary president Jamie Lefever, joined by many Rotarians in the audience. All money raised by rotary goes directly back into the community, including Clarion Hospital, the YMCA, the Clarion Free Library, Clarion University, and Foodstock. Clarion Rotary also offers two scholarships each year. More information can be found at Clarion Rotary.org. Clarion also sponsors students attending Rotary Youth Leadership Awards (RYLA) and Rotary Outstanding Vocational Awards (ROVA). Jeffrey C. Sharrar (pictured on right) was honored with the 2017 Volunteer Award. 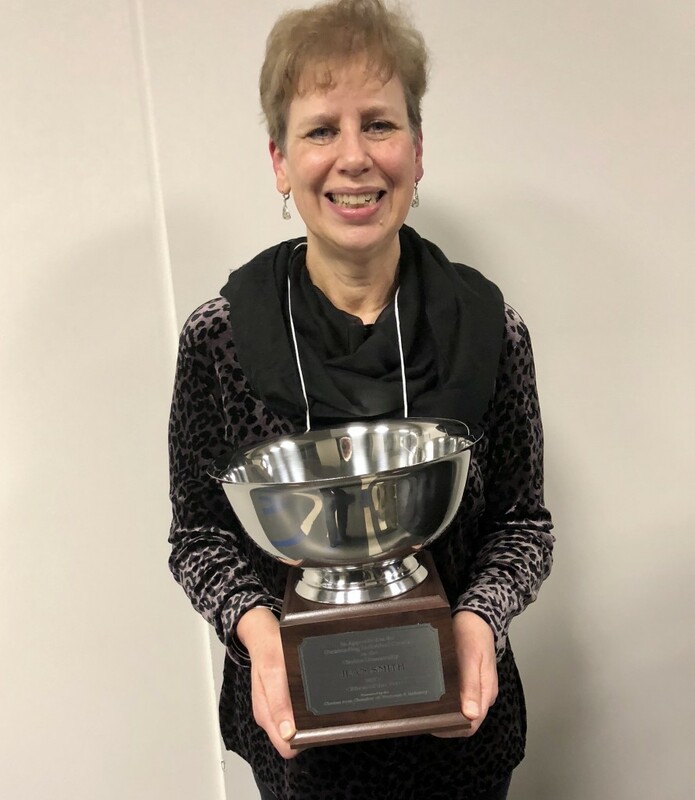 “The Clarion Chamber each year also awards a token of appreciation to a special person in the community for their volunteer work with the chamber,” said Tracy Becker, Chamber executive director. In addition to the many ALF and Chamber events, this year’s honoree is also active with the Clarion Moose Lodge #101, Moose Legion, and the Ross McGinnis VFW Post #2145. Jeffrey is the son of Douglas L. Sharrar and brother of Tracy Becker. For more information about the awards, go to clarionpa.com. 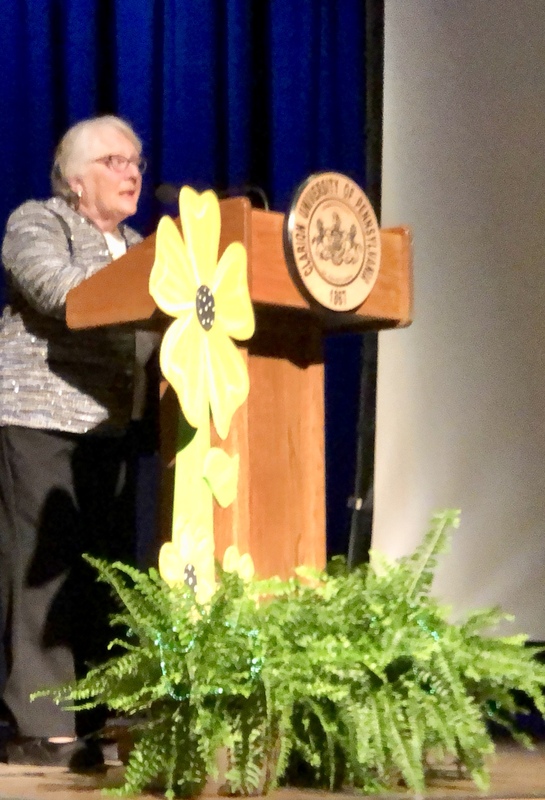 Peter Winkler, State Senator Scott Hutchinson, State Representative Donna Oberlander, and Clarion County Commissioners Wayne Brosius, Ed Heasley, and Ted Tharan also assisted in presenting the awards at Clarion University’s Gemmell Student Complex. Business of the year – Economic Development Division: The business must be a member in good standing with the Clarion Area Chamber for at least one year. Volunteer of the year. 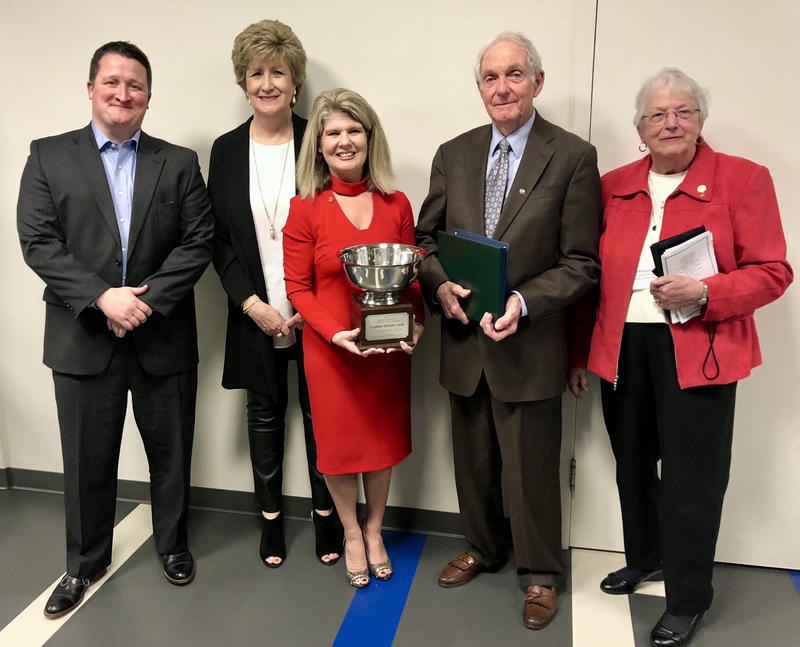 In 2003, the Chamber Board of Directors and staff created an award that recognizes an individual or group for the volunteer, time that has been given to the chamber throughout the year. Lifetime achievement award. Has provided outstanding leadership, support, and commitment to Manny throughout his or her life. 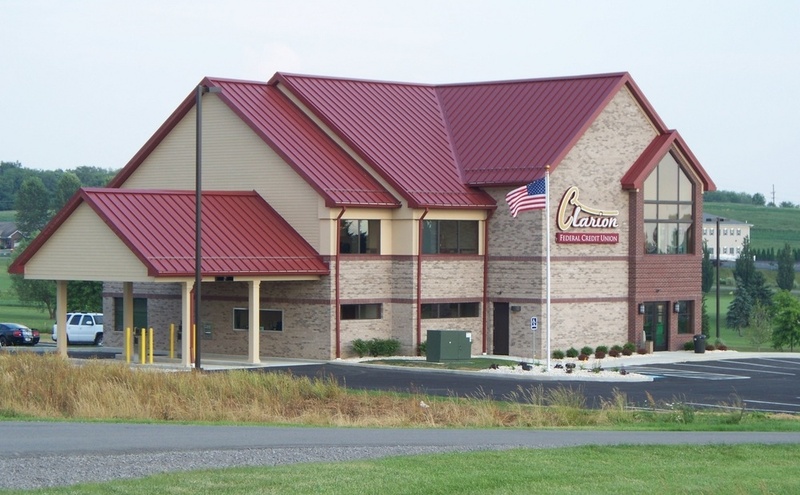 Individual contributions toward the continual quality of life and growth of Clarion County. Citizen of the year. Community involvement is a volunteer for the clarity committee during the past year. Individual contributions towards the continuing quality of life and growth of Clarion County, with a special emphasis on recent accomplishments.